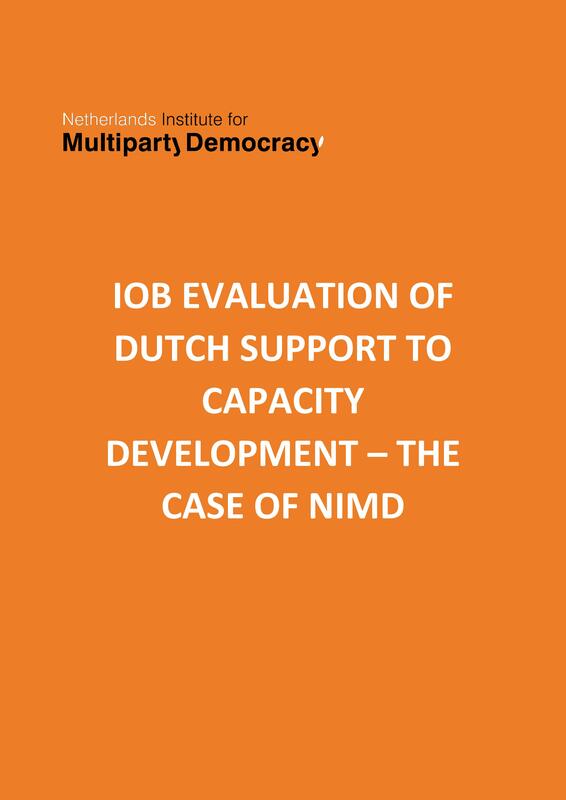 With this evaluation the Policy and Operations Evaluation Department (IOB) of the Ministry of Foreign Affairs of the Netherlands aims to provide insights into the support of the NIMD and its success in strengthening multiparty systems in developing countries. The research for the NIMD evaluation began by examining the processes and results at the level of the partners of NIMD, and then assessed these findings against NIMD’s theory of change. The Evaluation is based on case studies of NIMD’s work in Guatemala, Kenya and Mali and an institutional evaluation of NIMD itself. See the report that was published in November 2010 below.